I love baking but I really don't like eating sugar, or I try not to consume it on a regular basis. So I'm always looking at ways to eliminate sugar and replace it with healthier alternatives such as pure maple syrup or fruit purees when I bake. I read an article recently published by the Science Daily that says, "34 new beneficial compounds have been recently discovered in pure maple syrup and that several of these compounds possess anti-oxidant and anti-inflammatory properties, which have been shown to fight cancer, diabetes and bacterial illnesses." Sounds good to me...so I decided to make a batch of Peanut Butter-Banana Chocolate Chip Cookies. Of course, even though pure maple syrup is considered to be a healthy alternative to sugar and high fructose corn syrup, I will still eat these in moderation. But it's going to be hard because they are yummy! They have a light crispy exterior with a soft chewy middle! Measure out dry ingredients in a bowl and whisk to combine, including chocolate chips. Measure out wet ingredients in a bowl and combine with a spatula until smooth and creamy. Add dry ingredients to wet and stir until flour is incorporated into batter. Let batter rest in the refrigerator for 15 minutes until slightly firm. Using a small ice cream scooper, scoop out 10 cookies spaced evenly apart. Press slightly to flatten and bake for 10-12 minutes, turning baking sheet once during cooking. 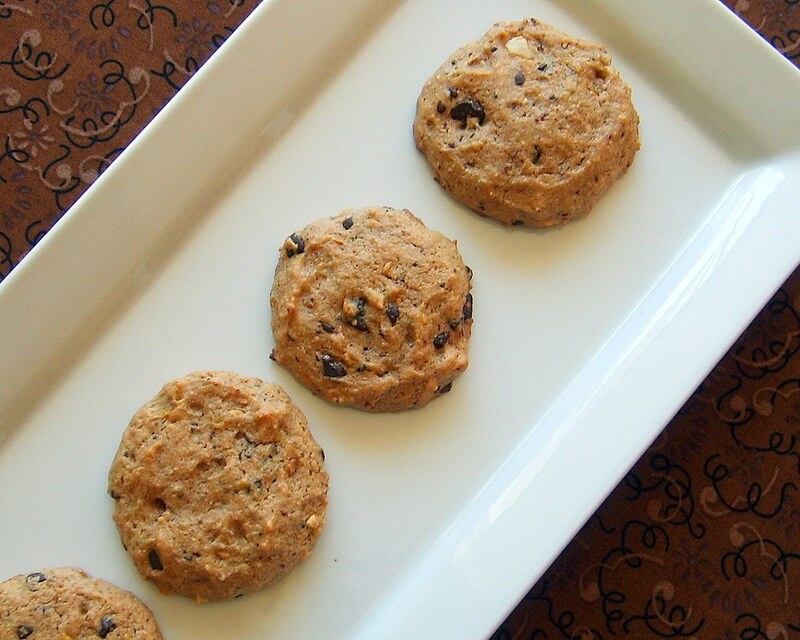 Remove cookies from the oven and let cool on a baking rack for five minutes before removing. Repeat process again. Makes 20 cookies. Note: I made these cookies using whole grain spelt flour. You could substitute whole wheat pastry flour instead. I like using spelt because it has a slightly nuttier flavor than whole wheat. It is also higher in protein and easier to digest. However, it does contain gluten so it is not suitable for a gluten free diet.